Just a quick little post of happy today. What could be happier than rainbows! 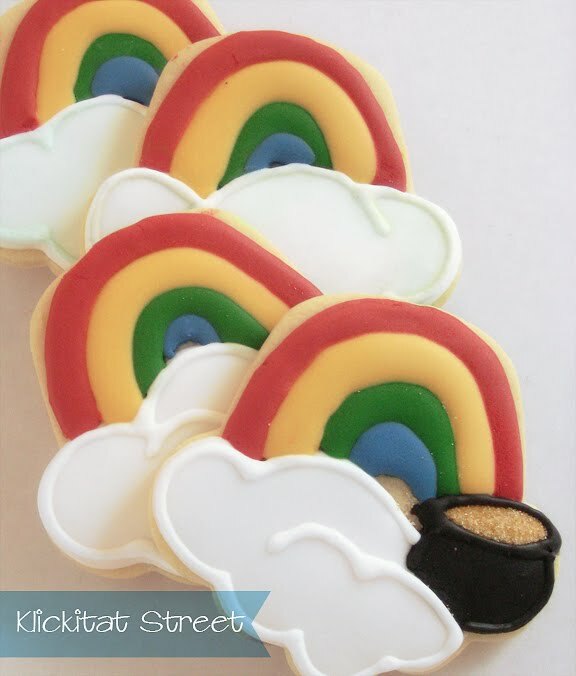 Since cupcakes have a little cloud of icing on top a cupcake cookie cutter makes a perfect rainbow in the clouds cookie! And of course you can easily add a little pot of gold if you like! I love how you used a cupcake cutter for these - so cute!!! 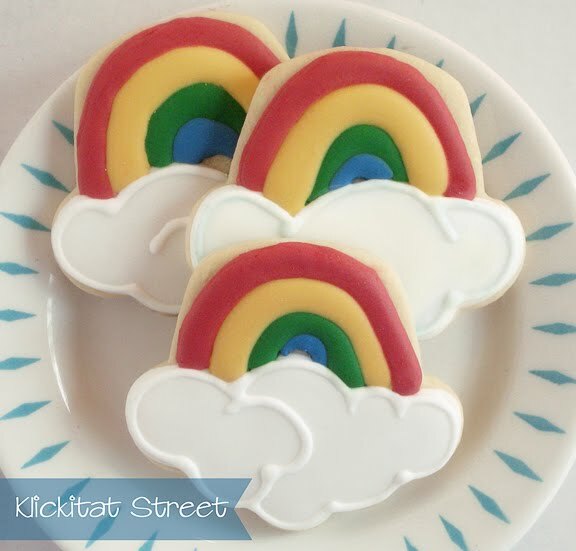 Do you use 20 second icing, or do you flood and fill for the rainbows? so cute!!! Sarah, I just discovered your blog this evening and I am in AWE of your skill at re-purposing cookie cutters! I'm pulling out my Christmas tree tomorrow to make a spaceship for my neighbor boy! Very sweet and the most ingenious use of a cupcake cutter I've seen! Aunque atrasada descubrí tu blog. El tutorial de las galletas es excelente felicitaciones y gracias por compartir.